Double Sonic booms as the boosters land back at the cape! Not updated for 2019 yet. 2018 was a great year, with SpaceX landing the two rockets at KSC and then the final December launch just before Christmas. Please give me a ---?--- to update this page. Thanks! I happened to meet with the SpaceX rep and causally mentioned the Dream Chaser---And was met with a snort of derision from the Xer (Because Sierra Nevada is two years behind X) -Anyway I did get a little bit of enjoyment by "Mentioning the competition!" 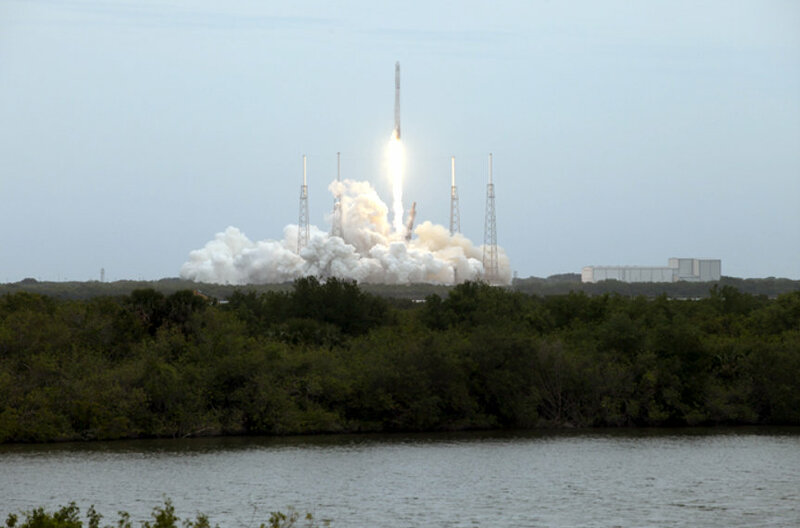 New Space X Control Tower planned for Kennedy Space Center. --I was told to keep this under wraps, but the information is in the paper now! I had to wince at their proposed tower construction as the space center is in the hurricane zone. 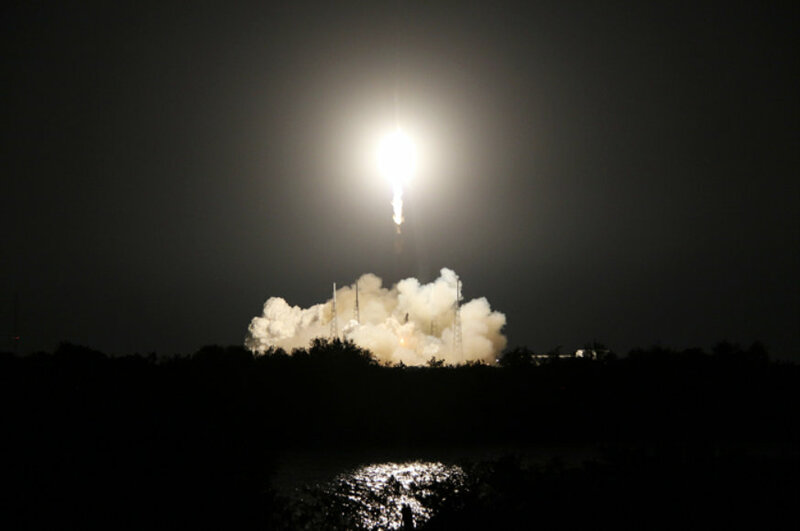 SpaceX Falcon 9 rocket from Cape Canaveral Air Force Station. Approximate launch date: April 2, 2018 - 4:30 p.m.
Atlas Rocket on April 14 from Cape Canaveral Air Force Station (CCAFS) ha--the same day that is KSC open house, expecting 20,000 visitors touring the space center. What a traffic mess! Approximate launch date: April 16, 2018 - 6:32 p.m. Approximate launch date: July 31, from CCAFS. Two crew members will be aboard the Starliner for Boeing’s first commercial spaceflight to the station, launching on a United Launch Alliance Atlas V rocket from Space Launch Complex 41 at Cape Canaveral Air Force Station. 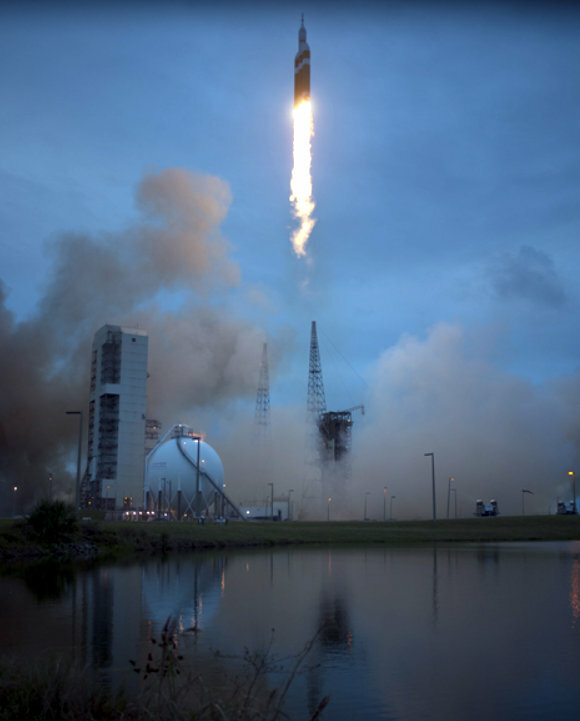 SpaceX’s Crew Dragon spacecraft, launching on a Falcon 9 rocket from Space Launch Complex 39A at Kennedy Space Center. SLS & EM1 animation. Best found so far. 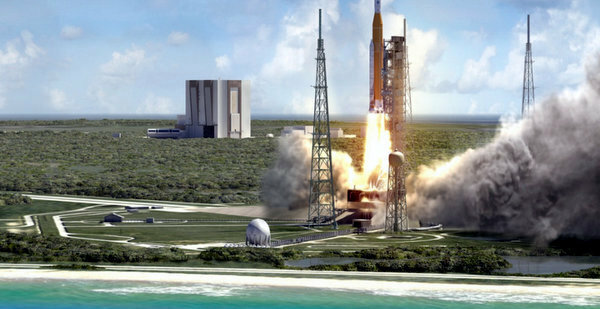 Still waiting for the launch of NASA's new SLS rocket! 2019? Already getting inquiries about how to watch the four astronauts scheduled to launch later this year. Word of caution, don't expect the dates to hold steady. Getting the rockets certified for crewed launches is far more tedious and cautious than the just shooting the impressive launches. Expect glitches and delays, however the wait will be worth it! Final note: I am torn.......I may have to work during the launches--in itself very exciting, yet to be on the water for the lift offs.......No words can describe the concussive punches of a rocket blasting from the pad! "The most memorable space shuttle missions" (link takes you from this site, but is a good launch down memory lane.